"I'm Playing for More Than Just Football"
Star Stanford University football player and Heisman Trophy candidate Christian McCaffrey has developed a special relationship with a friend with Down syndrome after working with him at a summer camp. Running back Christian McCaffrey began working with kids in 2010, when his father, former Denver Broncos star WR Ed McCaffrey, started Dare to Play, a football camp specially created for children with Down syndrome ages 8 and up. “When he learned that kids with Down syndrome don’t have many opportunities to play organized football, he decided to change that,” McCaffrey said of his father in The Players’ Tribune. When he was a freshman in high school, he enlisted the help of almost every one of his teammates to be camp counselors. McCaffrey said he met his friend, Dusty, when they were buddied up at the inaugural camp in June 2010. “He was hilarious,” McCaffrey said. Every year, Dusty would return to the camp, and since they live in the same Colorado neighborhood, they were able to easily keep in touch. Dusty is a “heck of a football player,” McCaffrey said, adding that the best day of his year is when he gets to see his friend. 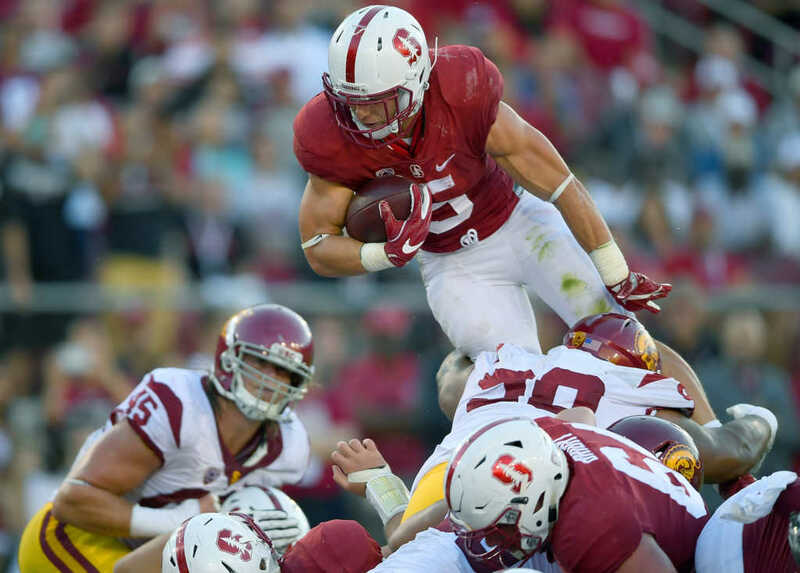 McCaffrey said he does not play football for personal accolades or the fame. McCaffrey said he’s a better player than he was last year and that he’s now ready to become more of a leader.